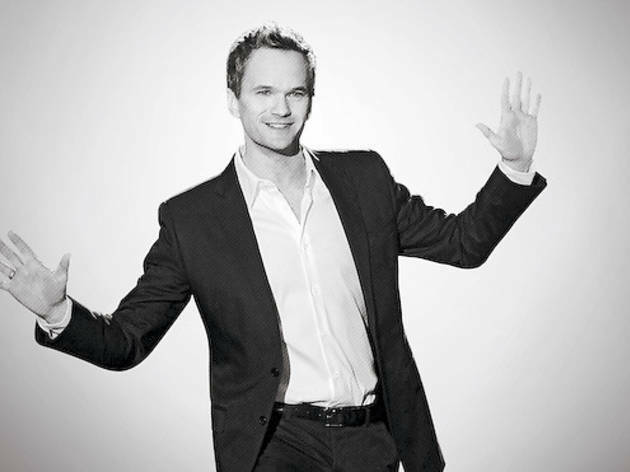 NPH on the Tonys, marriage and his twins. Neil Patrick Harris has just flown from Montreal, where he’s shooting the sequel Smurfs 2 (“that’s the clever title they’ve come up with,” he notes), to New York, where he’s hosting the Tony Awards on June 10. The 38-year-old actor/magician has pulled off two rare tricks: going from kid actor to adult actor, and coming out—all while succeeding in Hollywood. Harris speaks by phone after tweeting about NYC’s beautiful weather and before taking in six plays over four days. How are you possibly gonna top your number from last year’s Tony Awards, “Broadway, It’s Not Just for Gays Anymore”? [Laughs] I wondered that question myself. That number existed because of the highly irreverent nature of last season’s crop of shows, most notably Book of Mormon. This year’s group of shows are a little more mainstream and family-oriented, so I’m not gonna be, like, taking a dump onstage and wiping it all over my body. Or if I do, it would be metaphorically, if I fail. What would a metaphoric dump by Neil Patrick Harris look like? I wonder that every day when I wake up. You’ve excelled at the comic-villain role—Dr. 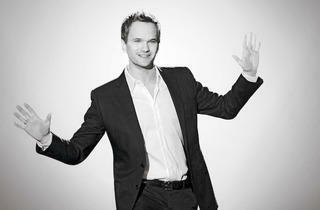 Horrible, for example; on How I Met Your Mother, Barney’s not a villain but not the nice leading man, either. I enjoy darker sardonic wit more than knock-knock jokes. I spent the first healthy chunk of my career playing all-American, pleasant, average, nice people, so it’s fun to have some complications there. Are you still having to go counter-Doogie? You tweeted a hilarious video of a woman sobbing uncontrollably while watching the surprise season finale of HIMYM. Her tears brought me joy. I love it that people can get so emotionally invested in what really truly is a multicamera sitcom. And now you’ve got two weddings to plan: Barney’s and your own. Do you and your partner, David Burtka, have a date yet? No, we don’t. We proposed to each other with no intention of setting a date, and that was years ago, and since that time marriage equality has passed in New York but not in L.A. where we reside mostly, so I’m most interested in seeing what happens with this whole West Coast Prop 8 situation. I would certainly like to get married for reals, and not just as a fun, fancy night out. You’re not just hiding behind the law to put off the date? [Laughs] Oh, my gosh, no, no. With two babies, I’m in a little bit too deep to be having buyer’s remorse. Do you see your ceremony as a political act or a private one? I strongly felt that it was just a private act, and in fact we had the opportunity to go to the courthouse in L.A. when you were able to get married, and I said, “Let’s not do it,” because I didn’t want it to seem like some sort of statement. I really wanted to just go and get married, but I knew that there would be media down there, and I wanted to have some semblance of purity with it. I made the wrong choice ’cause now you can’t get married there. With your twins a year and a half old, are they speaking their own secret language yet? They understand the English language very well but haven’t chosen to speak it yet. There’s lots of gurgling. They speak like I do after a long night at the Magic Castle. Maybe that’s where they’re learning that. From my Hasselhoff-ish nature. How’s the dad life so far? [David]’s meant to be a dad. He’s just amazing with children; I’m a very lucky man. My bonding has increased exponentially the older that they’ve gotten. When they’re just crying and you can’t ask them what’s wrong, you have to just try different things. That’s not in my skill set. You came out without hurting your career. Did your comic persona defuse the issue? That’s a tough question for me to answer without sounding really pretentious or douchey. Maybe ’cause you’ve known me as, like, a safe person that you grew up watching when you were younger, it’s not quite so sudden. I don’t know. In 2010, Time said you were one of the 100 most influential people in the world. How’ve you been wielding your influence since then? I think I’m an overworked dad at the moment. Harris hosts the Tonys June 10 at 7pm on CBS.